It is very complicated and difficult to explain the loss of a loved one to a child. It is not something that happens in one conversation, and perhaps not in dozens of conversations over a long period of time. The same may also be true of teens and young adults with developmental disabilities, and their mainstream peers. Clinical descriptions of what happened physically to the child's loved one does not address the emotional or spiritual issues that overwhelm a child. 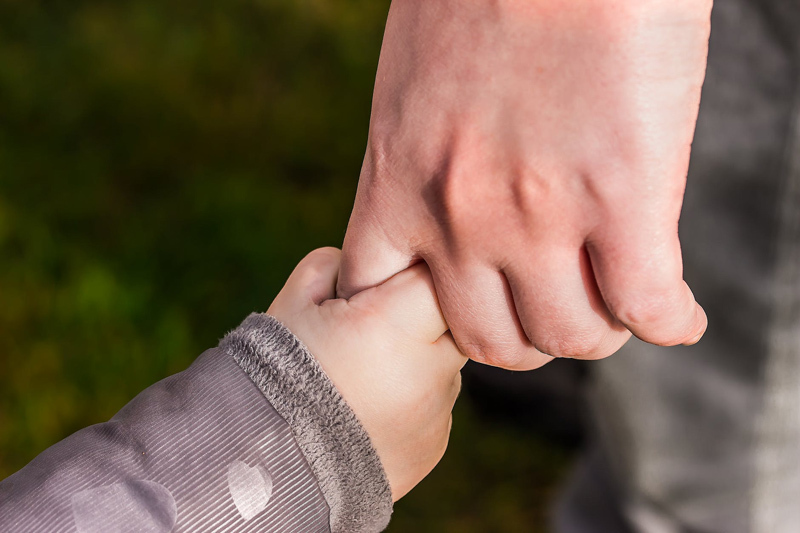 Rather than teaching the meaning of the word death, it's important to find out what a child's concerns are when they lose a loved one, especially when the person is also a caregiver. We may tell a child that remaining important people in their lives will be there a long time, and that many people still love and care for them, but they do need to have people who love them be there for them in person for a long time. When other adults left behind stop being who they have always been during a grief cycle, it may seem as though a child's life is unraveling completely. Being mindful of children's needs and tending to them can help adults move through the most difficult of times, too. In Betsy Okonski's story in the May 6, 1996 Newsweek My Turn column, entitled *Just Say Something* she wrote: "After our baby died, it really helped in my healing when people acknowledged the loss..." She explained what caring gestures helped, and what awful remarks didn't help. Her story made a lifelong impression on me. So often, we don't continue to acknowledge other people's grief or loss after a few weeks have passed. Sometimes, because we don't know what to say, their loss is never acknowledged. While adults may find it difficult to cope with this lack or compassion or acknowledgement, children may find it impossible to come to terms with loss when faced with the same situation. Grown-ups don't seem to have a comfortable understanding of death, so it is not as if we are teaching children from a position of comfort. If we talk to ten adults on the topic of death in general, we would probably find that unless they have experienced a loss themselves, they are each in some degree of denial that they will someday lose someone close to them. If all ten have suffered a recent loss, not only the experience but their reaction to it will still be unique to each. I think we would be more at peace with ourselves if we all read a few children's book on the topic, because in times of grief simple words in big print may be the only ones that have a chance to register. Some caring adults will read a children's book to a child's stuffed animal or pet, so the child can maintain an emotional distance from the topic, and be brought in by showing sympathy to a cuddling friend. Recently I read a post about 'the seven laws of teaching' attributed to John Milton Gregory. Some of them are: "A teacher must be one who knows the lesson or truth or art to be taught; the language used as a medium between teacher and learner must be common to both; the lesson to be mastered must be explicable in the terms of truth already known by the learner; the unknown must be explained by means of the known. On the subject of death, we have to decide what lesson/truth/art we are teaching. We need to adjust our language depending on a child's understanding, and perhaps use words that don't readily come to mind. We have to figure out what we believe is the 'known' to get us to an understanding of this big unknown." When something is too big for us to take in, to understand or even to consider, we as adults have the luxury of denial, distraction, and blanking out, among others. If a ten year old prefers to believe his mom is in the hospital with a backache, that might be the only way he can cope with his loss. Attempting to persuade a child otherwise might mean that he just won't believe the persuader. Attempting to direct or hurry a child to a sense of closure is also unreasonable. Children may feel the presence of the loved one they lost long after a funeral and decades past the date of their loss. There is no need to manage a 'goodbye' for someone so significant that they don't seem to have really left. It might be easier for adults to believe that when a child agrees with our explanation of our shared loss that he or she is ok, or at least 'grieving properly.' But no one is ok with that kind of loss, and there is no proper way to grieve. When we lose someone important to us, we develop chronic sorrow, and it takes a long time to develop a comfortable relationship with chronic sorrow. Building a memorial and having a special place to go where we can think about who we lost are what cemeteries are all about. It is difficult to lose an important person and not have someone or something to put in the place of that relationship and presence, at least symbolically. A child will know only what is missing, just like the rest of us, even if we research so much we earn a PhD in Grief and Loss. It may not be as important for children to hear explanations of what happened until they show us they comprehend what we are saying as it is to know that we remember the person who loved and cared for them, and that we miss them, too. Over ten years ago I collected book titles for a grief and loss bibliography for children; I have to admit that in the years since I have not become any more comfortable or accepting of death. Any of the standard stages of grieving and several more can pop up at any time and knock me right down. When a child suffers a loss, it might be helpful to go to a local bookstore or public library and browse among the children's books that are currently available, to find those that seem age appropriate and closest to our own family beliefs. Some online bookstores have sample pages of books, to allow us to browse and perhaps search through them from the comfort and privacy of home. The simplest books for children can be very comforting and helpful for adults. Do not delay in comforting a child, to acknowledge the loss and express sympathy. Books may be carefully thought out, neutral and non-offensive, or sound as though their words are the perfect phrases to express, but immediate and frequent human contact means much more to a child. Showing interest in their activities and simple preferences can be reassuring as well as comforting. Sometimes we don't have to say anything, just be there. What if grief could be more like embarking on a sturdy sailboat for a journey and less like capsizing in a tsunami?